Snow + shovel = man’s work. A sexist statement, I know, but that’s how I feel. Unfortunately, sometimes man is not available and it becomes my work. 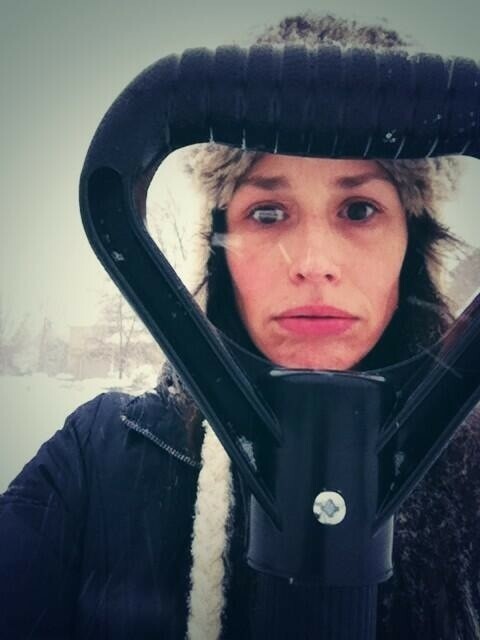 I try to embrace it, although the snow does seem most bountiful when man is away. I’m able to chuckle about this (literally) while warding off the thoughts of resentment that creep in with every new bruise that forms on my right thigh (the result of using it to help heave the shovel’s heavy contents). After all, moving here was my idea. So, I look at it this way: fresh air is healthy. Muscle building is healthy too. Accomplishing a task is also a positive act and, most certainly, deserves a reward. A delicious martini is the perfect prize for a show shoveling goddess, like me. If you are surrounded by snow and can feel yourself going a little bit nuts (as it’s wintertime in Canada and indoor living can do that to you) you must make one of these. 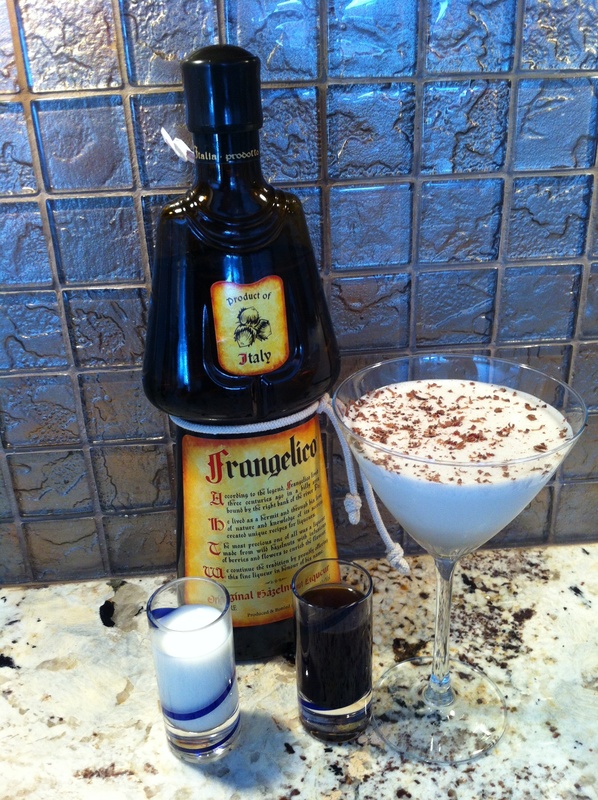 Fill an electric blender with the Frangelico, cold coffee, milk and ice. Blend until it’s all fluffy, white and wintery. Pour it into a martini glass and watch it magically layer itself. Shave some chocolate onto the top. Plant yourself next to the fireplace or grab a comfy blanket. Toast to fresh air, strong muscles and to nuts. LOL…. OMG… I love this one.Thank you for sharing. OMG. I need this!!! Yuuuuummmmmmyyyy!!! You do need one of these T and you’ve definitely earned it! OH MY GOSH! This looks SO good, Shannon! 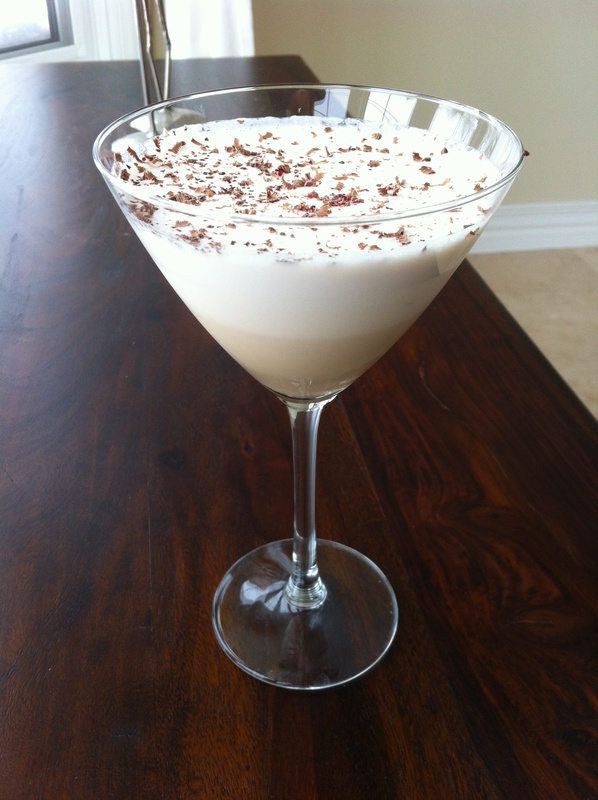 I don’t have much (or any) snow but I could drink this….while I’m sweeping the patio! 😉 lol. YUMMM!! !